The magic and fun of the Christmas pantomime, children's parties, a fun filled day out or a basic Easter Egg, are generally taken for granted as part of family life. However, for a growing number of children / young people who through no fault of their own, these are certainly not taken for granted and generally not part of their family life. So through our FESTIVE TREATS PROJECT, we are able to invite 150 children and family members to a fabulous rock n roll pantomime, we have a Christmas party with places for 50 primary age children in Rhyl complete with Father Christmas and gifts. 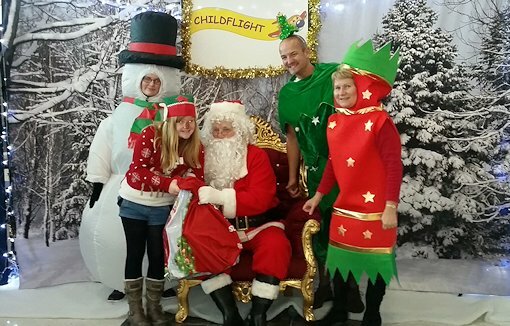 Courtesy of CHILD FLIGHT MANCHESTER, we are invited to take 6 little ones on a magical once in a life time SANTA FLIGHT, where hopefully if enough noise is generated shouting for Santa, he might hitch a lift back to Manchester on top of the plane, so that he is ready in time for the grotto. Of course, we mustn't forget the Easter Eggs, a cheap enough treat but not for all, many children will not receive even a single Easter egg this year. Our FESTIVE TREATS project can and does make a difference, helping children / young people feel normal, even if for just a day or a few hours.